Shopping for A-Team Pop! Vinyl Figures? 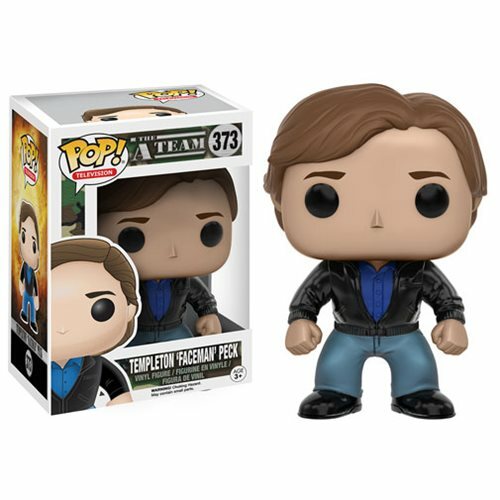 From the classic A-Team TV series comes Lieutenant Templeton Peck, also known as "Faceman" as a Pop! Vinyl Figure! Standing at a stylized 3 3/4-inch tall Pop! Vinyl Figure, this detailed figure features the likeness of actor Dirk Benedict. The smooth talker of the mercenary outfit comes packaged in a window box. Ages 3 and up.